There will be no livestream. Apple issued invites Friday for an education-themed event in Chicago on March 27. The invite promises “creative new ideas for teachers and students.” That could indicate the arrival of more-affordable Apple devices — like the new MacBook Air and iPad we’ve been hearing about. Recent rumors promised new Apple devices in March. However, as the days and weeks went by, that started to look highly unlikely. Then, out of the blue, Apple began issuing invites for a special event that’s just over a week away. “Let’s take a field trip,” reads the invite’s tagline, signaling the focus on education. And just in case that doesn’t make it clear, Apple is hosting the event in a high school, rather than on its Cupertino campus or at a convention center in the San Francisco Bay Area. The Apple event will take place at 10 a.m. Central time for Lane Tech College Prep High School. It could serve as a showcase for Apple’s upcoming ClassKit framework for educational apps and a new app called Classwork, for tracking student achievements and sharing the data with teachers. A boost for Apple Pencil? Cheaper MacBook and iPad? 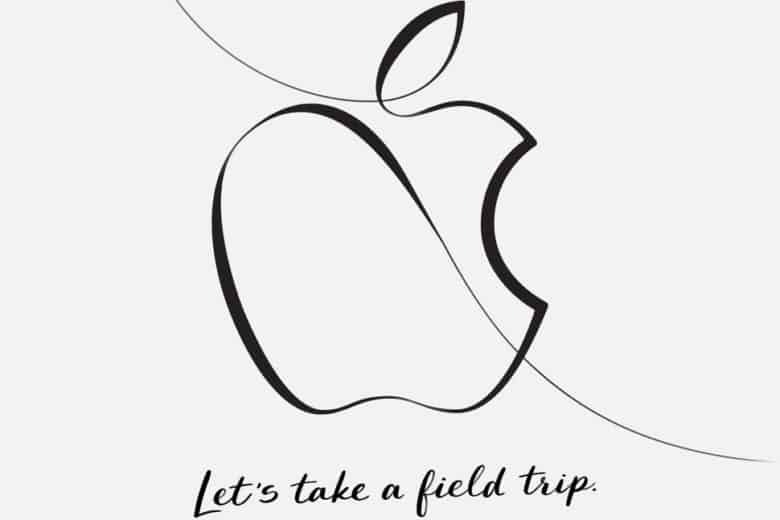 The Apple logo on the invite looks like it was drawn with Apple Pencil. Perhaps this hints at Apple Pencil support on a more affordable device, such as the next-generation 9.7-inch iPad, which we initially expected to arrive at Apple’s Worldwide Developers Conference in June. Reliable KGI Securities analyst Ming-Chi Kuo previously claimed Apple has a more-affordable MacBook Air in the pipeline. The lightweight laptop, which has been looking a little long in the tooth for a while now, might get a Retina display and updated internals. Reports indicate the new MacBook Air could cost as little as $799. The 9.7-inch iPad could drop to $259. If so, the devices’ lower price tags would make them ideal for students and schools on a budget. Apple continually pushes to get iPads into classrooms as a tool for educators and students. Chicago seems a fitting location, since its Board of Education recently added computer science as a graduation requirement.